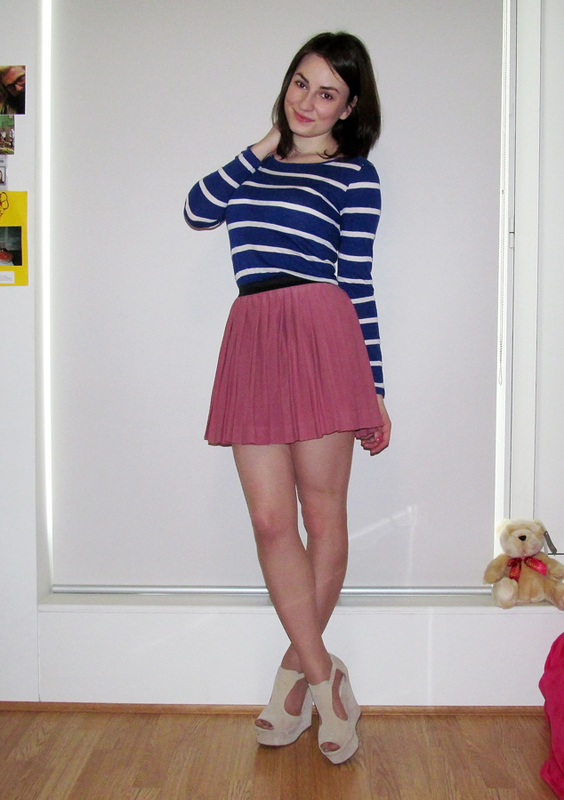 And wedges is just a perfect choice for now! 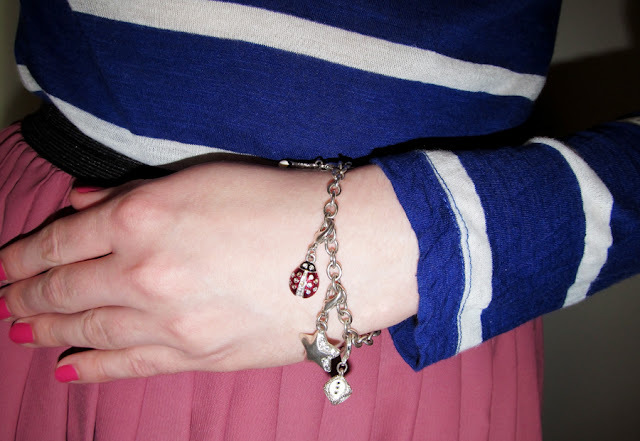 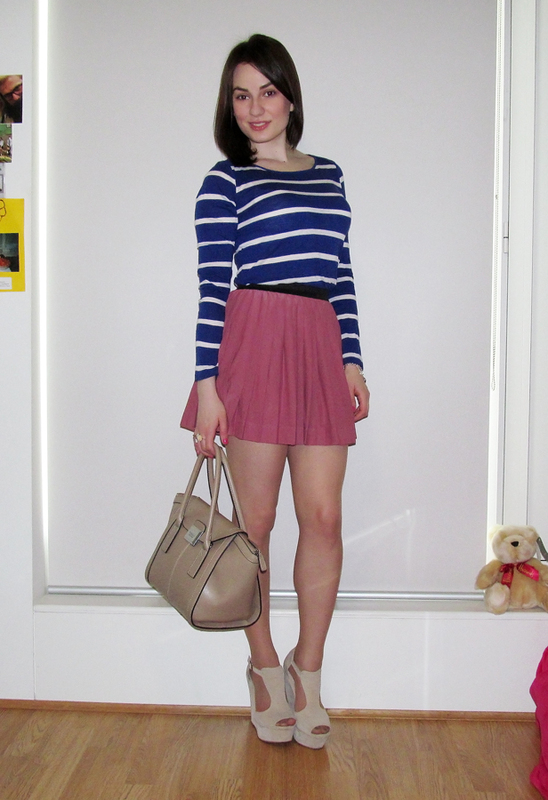 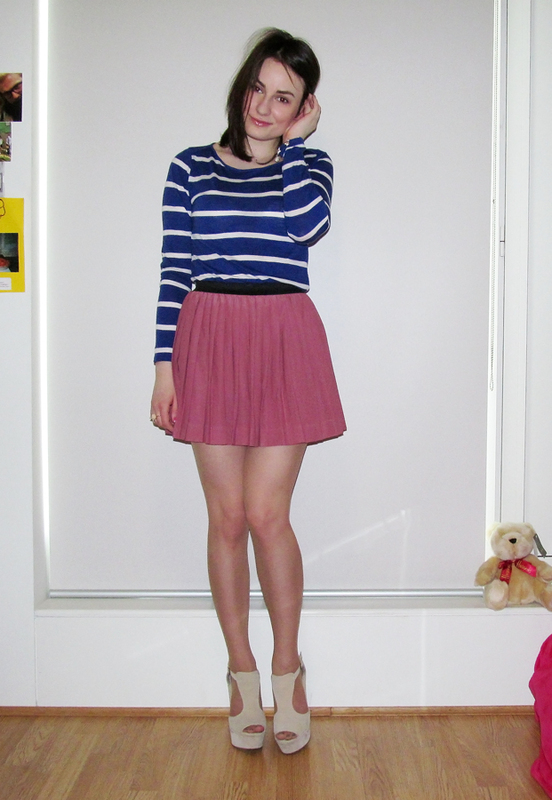 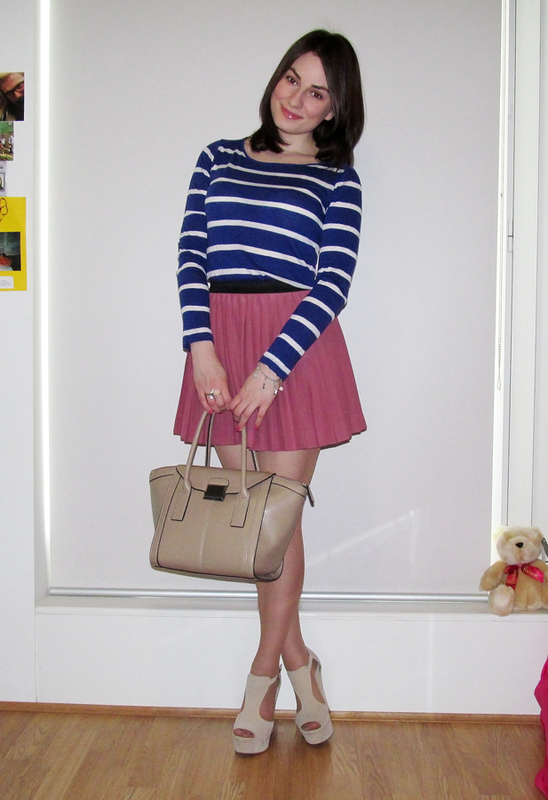 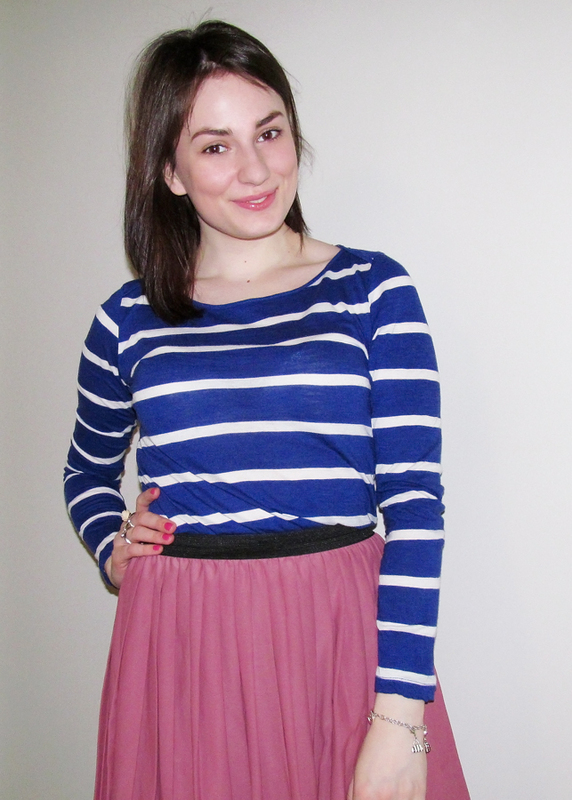 So yesterday I was wearing a striped top with long sleeves, pleated skirt and wedges. 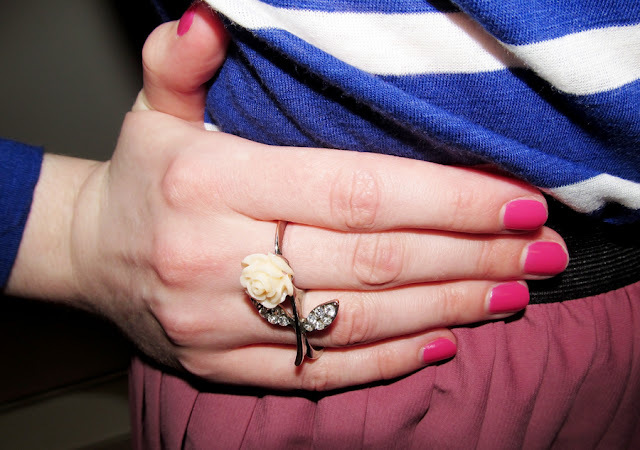 From accessories I had a double ring with flower, chained bracelet with pendants and structured handbag. 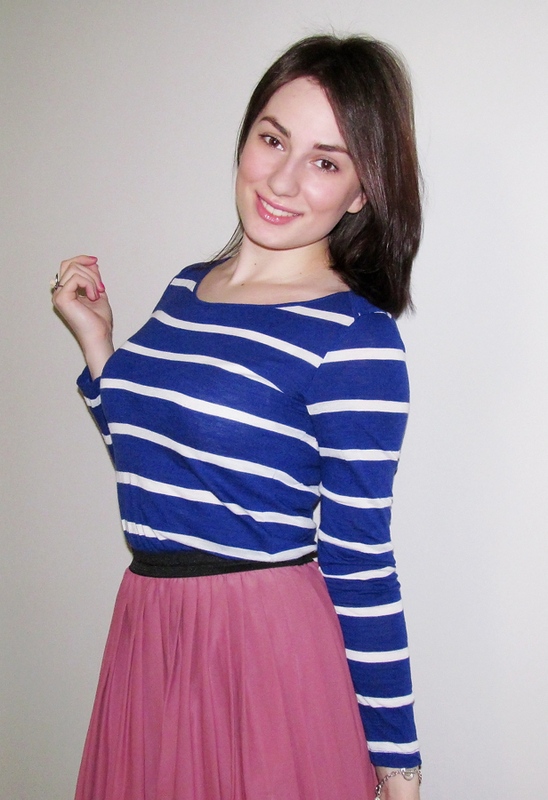 The look was finished by straightened hair and natural-look make-up.